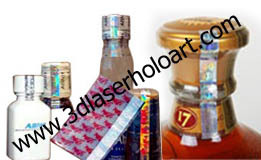 3D Laser Holo Art is one of the pioneering companies in the field of hologram and holographic products in India since 1997. It started with a vision to deliver solutions for clients to secure their losses due to duplicity and to protect their brands. 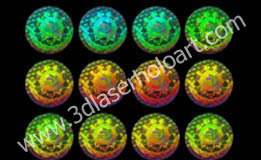 Working with a sole motto of providing value to its clients, 3D Laser Holo Art has made variuos products innovations over the years and has enhanced product value for its clients. 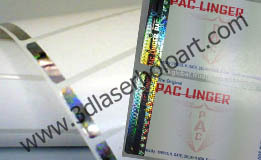 At 3D Laser Holo Art, commitment to quality in all its operations is the only accepatable way of working. 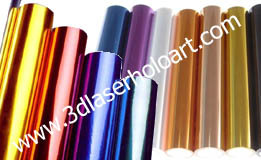 Through constant R&D in the field of holography, 3D Laser Holo Art has earned the distinction of being the first in bringing various products like Holographic PVC Shrink Sleeve, Holographic Tear Tape & 3D Display Hologram. 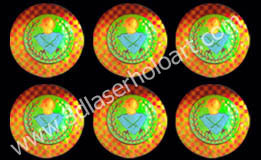 SECURITY HOLOGRAMS:- To combate counterfeiting, to authentcate products and to enchance brand image the most common form of security measures and part of packaging, products or brand in hologram. 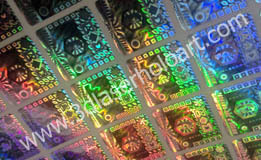 Holo-gram is an image registered with the use of coherent laser light. It presents 3D information of a subject. It can have spatial.